With everyone wanting to buy sustainable these days, the concept of sustainably sourced products has moved on from a nice to have, to a mandatory for many buyers, including some of Australia’s major supermarket chains. 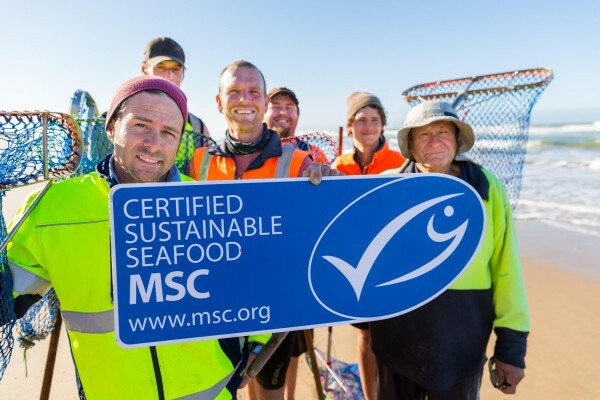 For Goolwa PipiCo the decision to pursue MSC certification was not taken lightly. It’s a complex process, bloody expensive ($0.06 for every pack) and requires regular re-auditing to remain certified sustainable. For many, it’s just too big a hurdle to jump over. Honestly, as a company we continue to question its value. We’ve been told it is a powerful marketing tool in Asia and Europe, but we are still trying to determine its commercial value in Australia. In recent times, literally the last year or so, we think we are starting to see small signs of it having some currency domestically, but we still have it very much on our radar to see what our customers think. Our sustainability credentials were given a further vote of confidence recently when the company won the ‘Sustainability Award’ at the Food SA Awards, which goes to show there are numerous options for establishing your sustainability credentials. Indeed, many companies, both in and outside of the food industry are displaying their sustainability credentials just by saying they support the United Nations Sustainability goals. For the time being we are pay the costs associated with maintaining our MSC certification and remaining compliant. Ahead of our next MSC audit in 2020, we are looking to you, our customers to provide us with what value you see in the label. Feel free to drop us a line at hello@goolwapipico.com and tell us what an MSC credential means to you and your customers.